Every year we organise a Charity Golf Day on behalf of our long standing client – Trevor Dawson in aid of Blackburn Youth Zone. 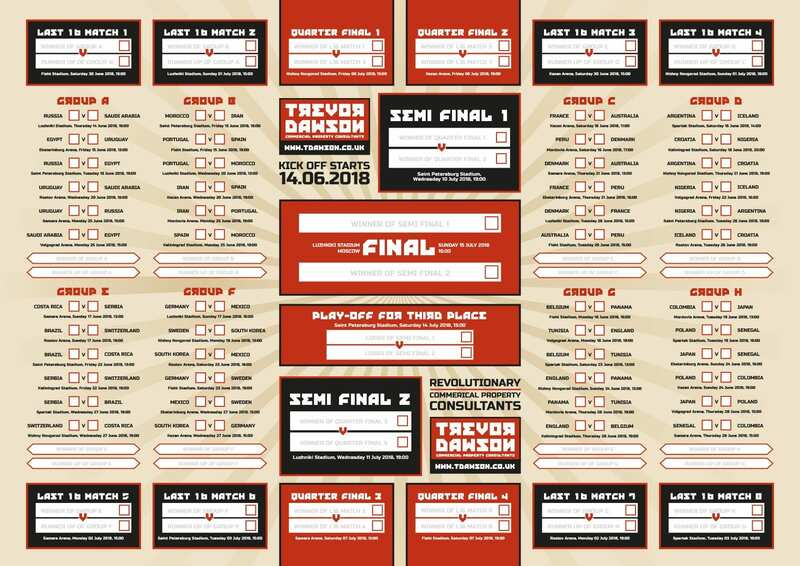 Whenever the event falls on a year with one of the major football tournaments they ask us to produce a wallchart as a giveaway. 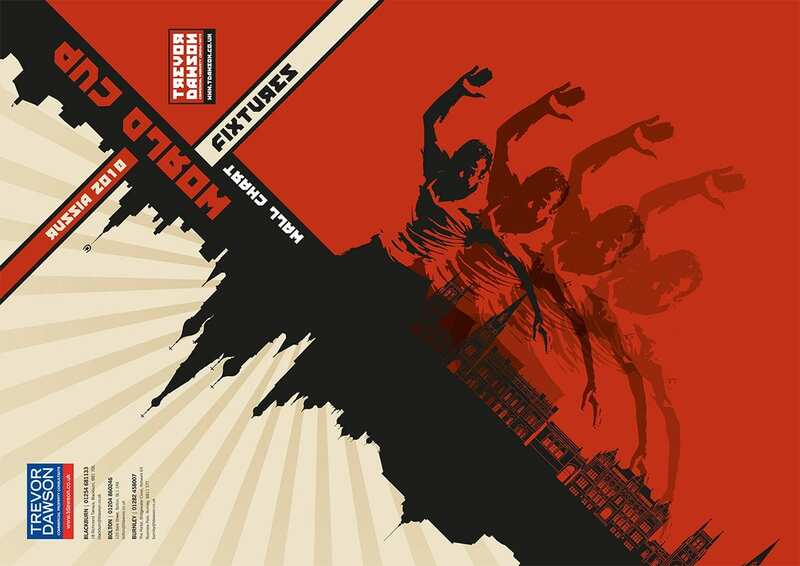 This year with the World Cup taking place in Russia we based the theme on Russian Constructivism style graphic design from the 1920s and 30s. They even allowed us to adapt their logo, so in return we featured one of Blackburn’s favourite sons Alan Shearer.